ROMP is another word for play! Entertainment, events and things to do and see in Big Bear! See full schedule below. Pick up your weekend wristbands, get event info and see what’s what. Come grab some grub, drink specials and do some mingling. *Not part of official Big Bear ROMP event lineup. No event passes required. Hit the lanes for some glow bowling! 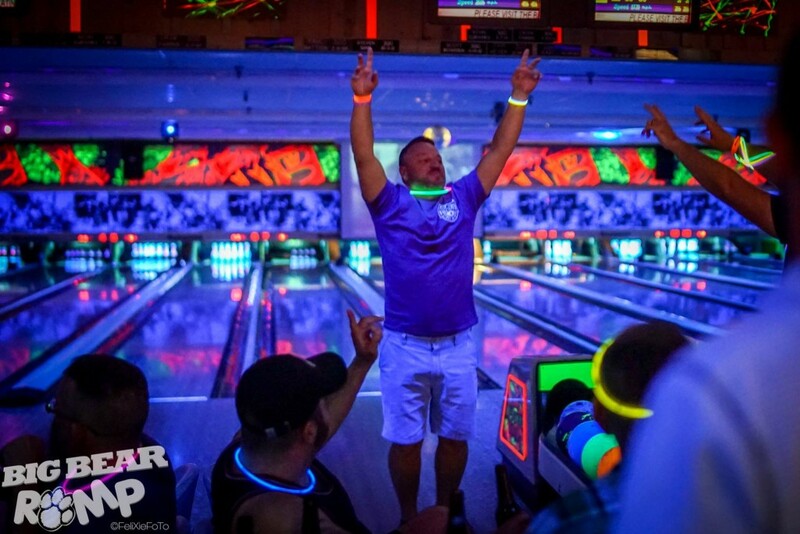 We’re taking over the bowling alley for a special black light “glow party,” complete with rockin’ tunes. Wear bright colors to stand out from the crowd and grab your balls to join the fun! *Part of the ROMP weekend pass. Entry valid for bowling and shoe rental; all lanes available on a first come, first served basis. Food and full bar available. Limited walk-up passes sold at event, pending availability. Poolside DJ, bar and vendor tents, too. Join the action poolside – the perfect way to get weekend shenanigans started! We know you like it BIG & wet – this is the place to be. The Vendor Marketplace will be poolside featuring unique apparel, adventurous travel, stylish jewelry and more. *Part of the ROMP weekend pass. Limited walk-up passes sold at event, pending availability. It’s just like speed dating – for singles and couples/thruples, this timed event will have you laughing and meeting other Big Bear ROMP weekend attendees. *Part of the Big Bear ROMP weekend pass. Limited walk-up passes sold at event, pending availability. The official kick-off event of the weekend at Stillwell’s – a perfect venue for cruising under the Big Bear sky. Get ready for Under the BIG TOP, under*wear* fun and fantasy come to life. 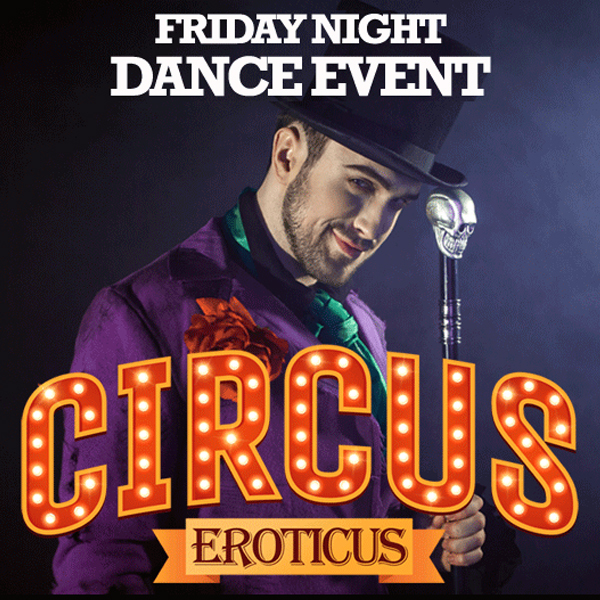 Explore your wild side for an evening of circus eroticus and freakshow fun! Let your inner GRRANIMAL loose at this circus-themed underwear dance party in the host hotel’s main ballroom. Wait ’til you see what goes down when the curtain goes up at this 3-ring circus! So popular….it’s back! Grab your cutoffs and tube tops and jump into the action as this backwoods party gets a little bit country, and a lot wet & wild! Our top DJ talent return with their fresh beats and yummy grub for purchase. Fun surprises at the top of each hour, and the Vendor Marketplace will be poolside featuring unique apparel, adventurous travel, stylish jewelry and more. Think of it like a cruise excursion! Choose one of 4 fun Saturday afternoon activities. 2pm – 6pm, Hours and locations vary by activity. Get info! *Not Part of the Big Bear ROMP weekend pass. Additional fee may apply depending on activity. Reserve your space now, limited walk-up tickets sold at check-in, pending availability. featuring Lady Bunny from RuPaul’s Drag Race! Lady Bunny is a comedienne, DJ, actress, singer/songwriter, the emcee and creator of Wigstock, and most recently she’s been featured regularly on RuPaul’s Drag Race. Big Bear ROMP is thrilled to bring her comedy to new heights. Get ready for BIG laughs! Gear up and get ready for dancing…in the lights… or mischief in the dark…your choice! This event pays homage to Tom’s body of work – get ready to enter Pleasure Park and experience Tom’s world in a new way. Tom’s work will be featured in a viewing space, and leather and gear vendors will be on hand. Chow down on tasty grub while shaking your groove ‘thang to some thumpin’ beats. And what’s a perfect complement to a fabulous Sunday brunch? Bingo, of course! Hosted by the most hilarious ballmaster above 6,000 feet, get there on time or you’ll get bitched out! *Included with the VIP Weekend Pass. Additional tickets sold pending availability. Breakfast buffet includes typical brunch yumminess – scrambled eggs, bacon, french toast, breakfast potatoes, OJ, coffee, tea. Full bar including Mimosas, bloody Marys, cocktails, soft drinks, etc. available for purchase. The name says it all — let’s get soaking wet and enjoy fresh beats with the boys in the pool while making plans for next year. Last chance to pick up cool merch at the Vendor Marketplace, too. One of the most fun parties of the weekend, it’s one last chance to get your freak on! 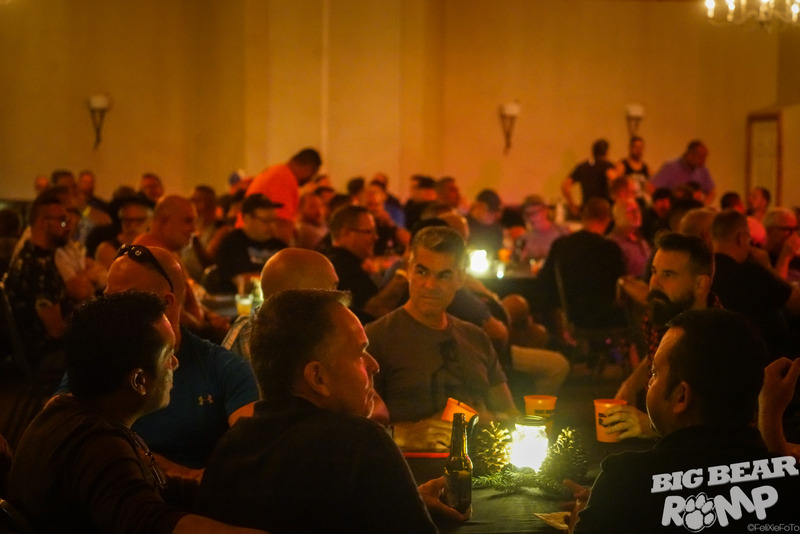 Join the guys in winding the weekend down by sharing your favorite stories with friends – it’s always a great turnout! Enjoy tasty grub and drink specials, too.